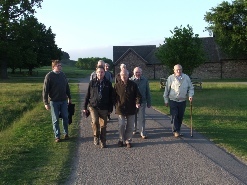 The Men’s Fellowship normally meets on the second and fourth Mondays of the month at 7.30pm. Meetings are usually held in the green room, but, depending on the specific meeting (especially when the meeting is at an outside venue), starting times can vary. Always check the 'Calendar and Events Diary’ page for any possible updates for a particular meeting. The fellowship is open to men of any age, not just members of the church. 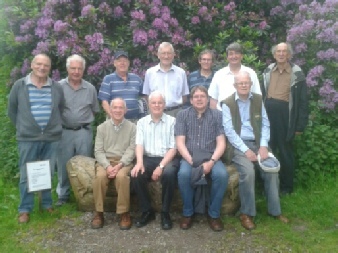 The programmes are very varied and interesting, consisting of talks, demonstrations and outings, all undertaken in a spirit of fellowship and fun! The current programme is listed below. A good time is guaranteed, and new members are made very welcome. MEN'S Fellowship - see below for latest programme. Meetings are normally held in the Green Room starting at 7.30pm unless otherwise stated. No, they are not identical - it’s a matter of spotting the difference! or Dave Holland on 450260 for more information or just turn up at any of the above meetings. 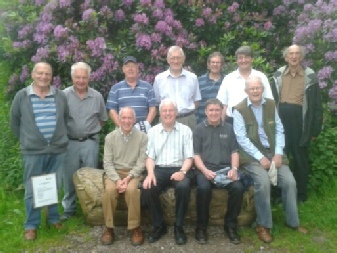 If you are interested in joining the Men’s Fellowship please contact John Allwood on 480002 or Dave Holland on 450260. Alternatively turn up to any of the meetings (prior notice required for April 23rd and October 8th). 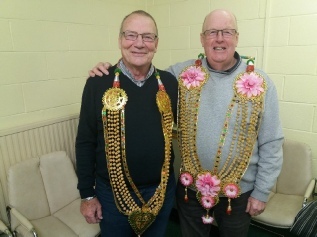 Two MF members wearing items at a meeting hosted by Revd. Andrew Rhoades. These items were presnted to him during a visit to South India in 2011.